Reality Based Group offers a comprehensive variety of solutions for analyzing your business’s performance and effectiveness. From multiple mystery shopping options to field audits, training, customer surveys, and more, RBG has a tool for seeing beyond the symptoms to diagnose the root problem in your company’s client-facing operations. Of course, your company’s challenges and industry will determine the best approach. 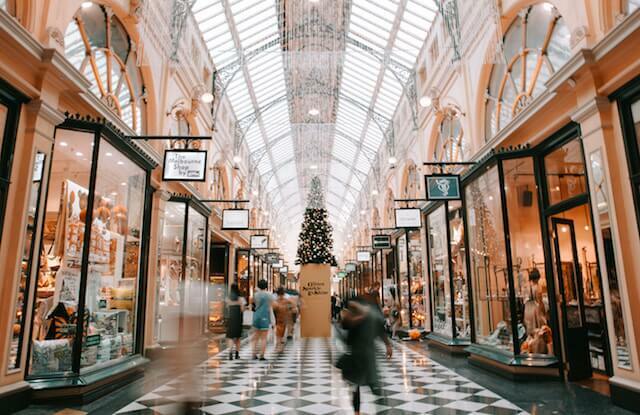 With over 20 years of experience, RBG has consistently found that all businesses can increase sales and improve customer service by successfully correcting problems uncovered with the following mystery shopping solutions. With apps, websites, and chat, customer interactions are changing. But phone customer service is still important . And in some cases, a phone call is a customer’s first interaction with your business. What if the client is met with an employee who sounds disinterested? Or gives the impression of not caring. Or seems like they can’t wait to get off the phone. You have lost that customer. Phone customer service can be harder to manage than in-person interactions because of its private nature. And with all the training in other areas of customer service, phone etiquette can easily get neglected. RBG’s phone mystery shopping programs are based on our practice methodologies developed over decades of experience, and can be tailored in numerous ways to meet your business’s needs, from a stand-alone evaluation or as part of more comprehensive appraisal. The face-to-face, on-site customer experience is still the most important factor in any consumer-facing business. And a written mystery shopping program helps you ensure that your processes and employees are providing a top-quality customer experience. With RBG’s customized scorecards, our professional shoppers, evaluators, and consultants gather and deliver real, objective, quantifiable, and actionable data. With this priceless information, you can properly train employees, improve processes, and produce measurable results. A great addition to written evaluations or a powerful tool on its own, video-recorded secret shopping programs offer unmatched perspective and insight into the customer’s experience with your business. It’s like walking in your client’s shoes – And you don’t have to go a mile. Video mystery shopping takes the guesswork out and simplifies evaluating those hard-to-measure customer experience objectives. Even brief video footage can open the eyes of those on your management team and staff to problems that were previously under the radar, from reactive employees, to more subtle things, like body language. A comprehensive mystery shopping program isn’t complete without including the newest channel of customer experience: Online. In addition to monitoring in-person interactions through phone, written, and video mystery shopping, it’s also important to monitor user experience on your website. Your customers may be coming to your website to learn more about your company’s story, to make a purchase from you, or just to check your hours, and RBG can help you meaningfully evaluate your website and app performance. Whether monitoring support response times on your website chat to a full e-commerce product purchase cycle, our expert online mystery shoppers will provide actionable data to get the results you’re looking for. Whether used individually or as part of a broader program involving other solutions, these four tools are a great place to start if you truly care about honestly evaluating your business and ensuring its success. To learn more about how you can put these secret shopping tools, or any of our other valuable resources, to work for your company, contact our business-problem-solving experts today.